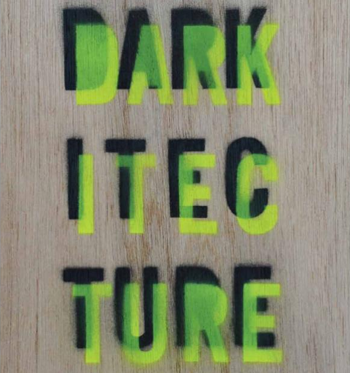 Essay contribution titled Immortality for Gerrard O’Carroll’s posthumous book, Darkitecture, published by the Whitechapel Gallery. A disquieting moment (among many) takes place in Tony Scott’s 80s cult classic The Hunger. David Bowie, playing a vampire stripped of his immortality, is slumped in a waiting-room chair waiting to be seen by a doctor. As the wall clock slowly ticks and the receptionist’s prattle dips in and out of earshot, he begins to age precipitously before our eyes. Within 15 movie minutes he has aged 50 years: His lips retreat into his mouth, his hair falls out, his head prunes and shrinks, liver spots break out on his hands. The traditional horror of the vampire genre (the killing of young maidens, the eruption of blood, stakes through the heart, etc.) is temporarily superseded by a far greater horror: that of ageing. I revisited The Hunger recently and was struck that, nearly 30 years on, the dramatised visuals of David Bowie ageing as depicted in the film appear far more realistic than his actual ageing, which seems permanently on standby. Irrespective of whether he has magnificent bone structure (he does), has had plastic surgery (no one knows), or is a vampire (could be), Bowie is a living and unnerving representation of our desired future selves, a human being who appears to have defied the characteristics and behaviours which coincide with the passage of time: a quasi-immortal. Ageing, or the lack of ageing, each with their own intellectual and aesthetic outcomes, can be considered as thematic sub-genres of narrative cinema. Gerrard O’Carroll was keenly interested in the diverse ways in which cinema, through the lens of genre, could critically investigate serious issues, and applied the same principles to architecture. We have black comedy films, why not black comedy architecture? Superhero architecture? Horror architecture? More specifically, why not vampire horror architecture? In proposing ‘Immortality’ as the annual topic to his architecture students in 2003 and again in 2009, Gerrard forced students to tamper with some of the preconditioned boundaries of the discipline, resulting in a number of wonderful scenarios, as exemplified in the projects within this chapter. Inhabitants might outlast their homes, and not vice versa. The economic divide may decide who will live and who will die. Creepy customised services could spring up to satisfy creepy customised needs. The body itself could morph (superhero) or mutate (horror) and building codes would subsequently have to be updated. Death itself could be a commodity, bought or sold, toyed with or cared for. Deviant scientific experimentation could be conducted as easily in a guarded laboratory as in a high street retail outlet. Gerrard revelled in the untidiness of subject matter like this. With his signature, roguish half-smile, he endeavoured to lure architecture into acknowledging and catering to the darkly real potentials of science in hastening or paralyzing the process of ageing, resulting in a world far from utopic. Picture an overpopulated town where grotesque, selfish, plastinated people wander aimlessly through weird environments tailored to manage their decade-long boredoms, their surgeries, their baroque eating habits, their existential crises, and you get a picture of where Gerrard might have felt most at home. Conjunctionally and bravely, he ridiculed the notion that an architect or designer is a kind of moral guidance counsellor, superior and enlightened through education and hard work, dedicated at a near subconscious level to helping people towards betterment by designing the clutter out of their lives. In this way, he saw contemporary architecture as complicit in a kind of hypocrisy, refusing to come to terms with the disorder of the human condition, at either a singular or societal scale. Rather than defaulting to simplification, Gerrard moved towards complication, developing through his teaching a form of architecture self-aware of its historical limitations. To an extent, he wanted architecture’s skeletons freed from their closets and sitting on the front porch – or even part of the front porch – like a kind of psychosomatic Centre Pompidou, where both the guts of the building and its inhabitants are paraded. Exploration and experimenting with architecture on Gerrard’s course must have been in equal parts terrifying and liberating, eye-popping and life-changing.